A Power of Attorney is a document granted by you in case you should become unable to deal with your financial affairs or become unable to make decisions about your personal welfare. 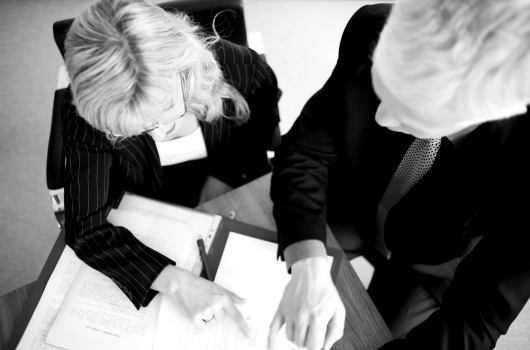 The Attorney you appoint will be able to do these things for you. A Power of Attorney is, therefore, a valuable thing to have in place in case one day you lose the ability to make these important decisions yourself. We can help with this. Should you lose the ability to make decisions about your finances or welfare, it is then too late to grant a Power of Attorney. A Guardianship order is a court order authorising someone to make decisions about your finances and personal welfare should you become incapable of doing so yourself when you have not already granted a Power of Attorney. An application for Guardianship is a complex and time consuming procedure. We have experience of dealing with these applications and can help make this process as smooth as possible.